We’ve always thought that we’re a pretty cool company, but how do you verify that? Is there, like, some company that goes around finding and calling out the other cool kids on the block? It looks like there is, because we’re excited to announce that Aasaanjobs named us one of the Best Startups to Work For in 2018! We’re joined by fellow startups Edgistify, UrbanPro, Verloop, Holidify, Fynd, and Treebo. Don’t mind us — we’re just a bit excited over here. While we finish up our dance break, why don’t you check out this blog about how we’re trying to build a great culture? Interested in joining our team? Here’s our primer on our hiring process. 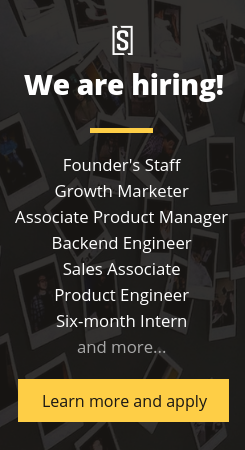 Want to learn more about our teams and open jobs? Check out our Careers page for much more information!